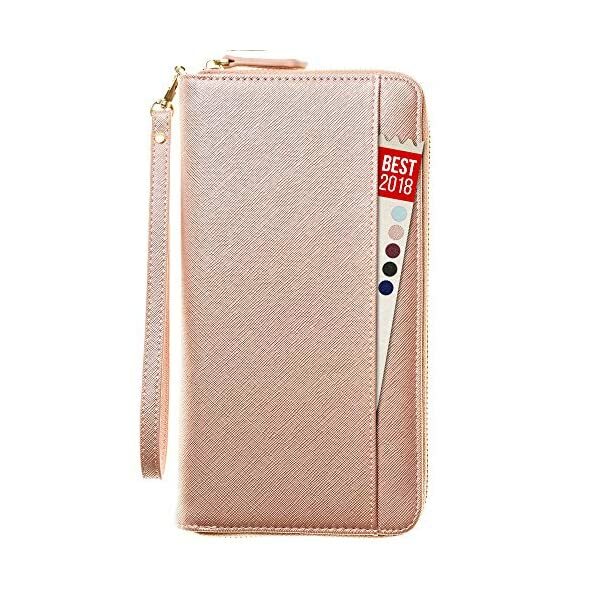 STYLISH, HIGHER QUALITY PU LEATHER passport holder for women. 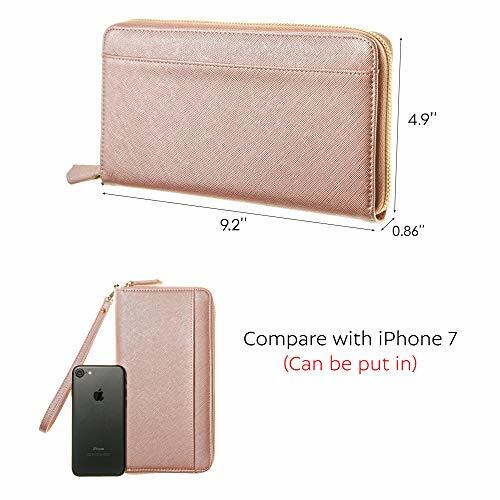 Apadi leather travel wallet case, unlike any other wallets made out of nylon, is made out of premium quality PU Saffiano leather. 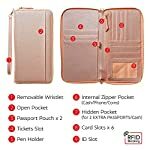 FITS EVERYTHING – travel document organizer holds up to: 4 passports (2 in the slots and the other 2 in a hidden pocket behind the zipper pocket), cash, ticket, 6 credit (or business) cards, pen, ID card or driver’s license, boarding pass + big zip pocket (for your large phone or other items) and an outside pocket for quick access to other essentials! 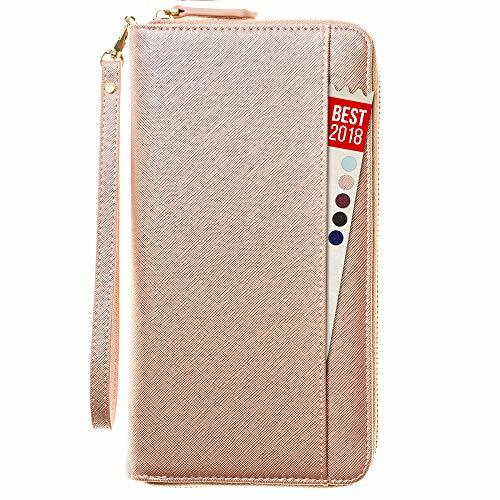 Family Passport Holder will be a life saver when travelling with the whole family or a big crowd! 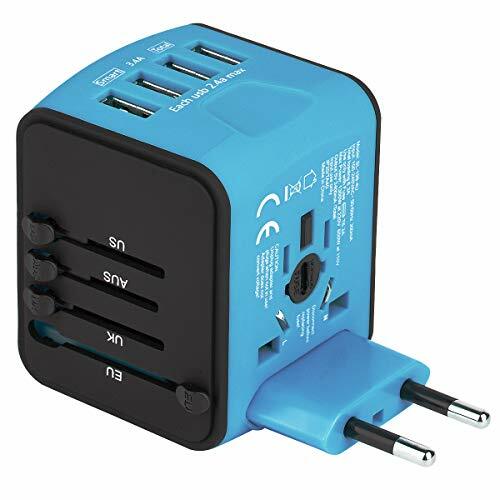 THE BEST GIFT IDEA. 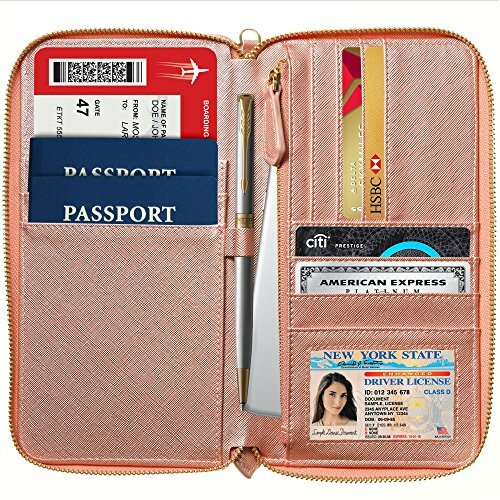 Surprise your friend or a significant other with a leather passport holder that will be a great gift for women! 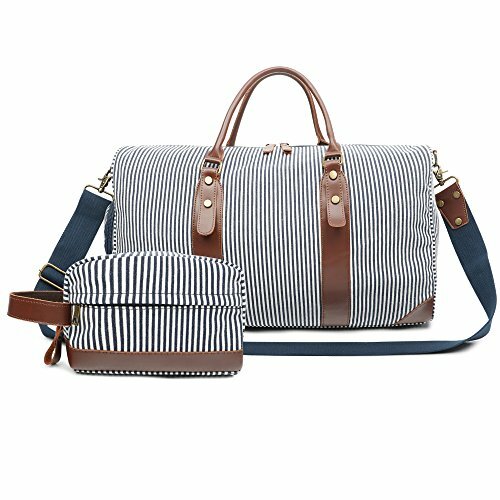 Apadi passport bag is a very thoughtful gift for a person who likes traveling or is a businesswomen, who prefer to keep their documents safe. 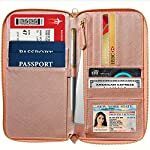 Apadi passport ID organizer makes a stylish and handy gift! RFID BLOCKING – ABSOLUTE SAFETY FOR YOUR IMPORTANT DOCUMENTS WHEN TRAVELING – With our vegan leather travel wallet for women and men your valuable documents are kept safely zipped up in the numerous compartments. 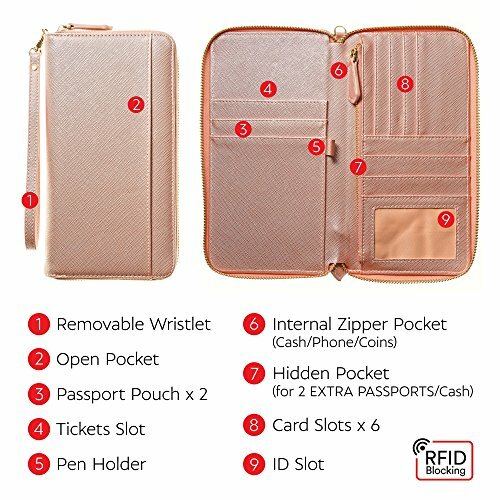 Our special RFID-blocking layer means that your passport and credit cards will be impossible to scan! 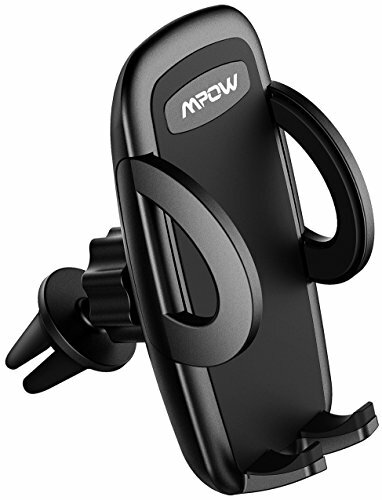 All of your possessions are safe in our multiple passport holder at all times. 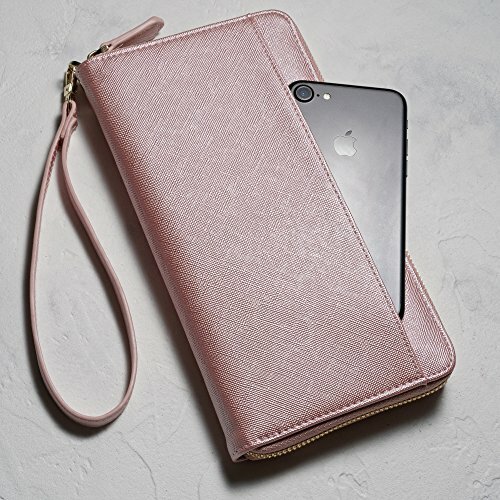 CONVENIENT OUTSIDE STORAGE AND REMOVABLE STRAP – RFID passport wallet case with a zipper and a strap also comes with an outside pocket for a last minute note, cash or anything else you might need on the run. 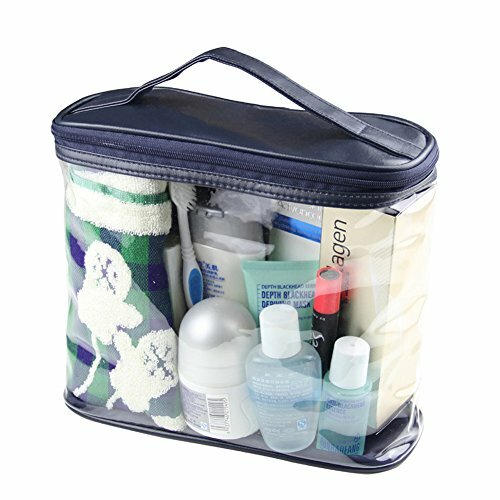 Travel document holder makes it easy to put things in the outside pocket or get them out, without having to struggle with a zipper. 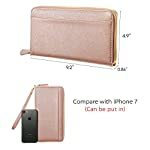 Leather passport wallet phone case comes with detachable strap that you can simply hang on your wrist, to avoid going through your bag every time you need it.